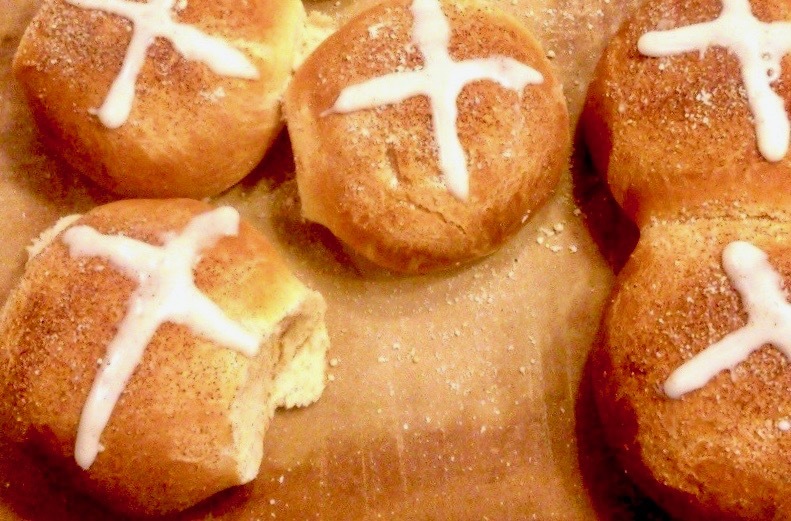 These sweet and lightly frosted Amish Friendship Bread Hot Cross Buns are another fun recipe. Reminiscent of family dinners at Easter, these sweet treats are amazing, right out of the oven. These sweet and lightly frosted Amish Friendship Bread Hot Cross Buns are another fun recipe, perfect for Easter dinner. In a large bowl, add starter, milk, yeast, salt, melted butter, egg, vanilla extract, cinnamon and nutmeg. Let rest for one hour. While the batter is resting, soak the raisins or currants in water or whiskey to soften. Add 2 cups of bread flour to the large bowl of ingredients and mix until combined and dough is soft, adding additional milk if needed. Drain the fruit from the liquid and add to the batter bowl along with lemon peel. Knead in another cup of flour until the dough is smooth. Oil another bowl and add dough. Cover dough and let rise in a warm place for 1-2 hours. 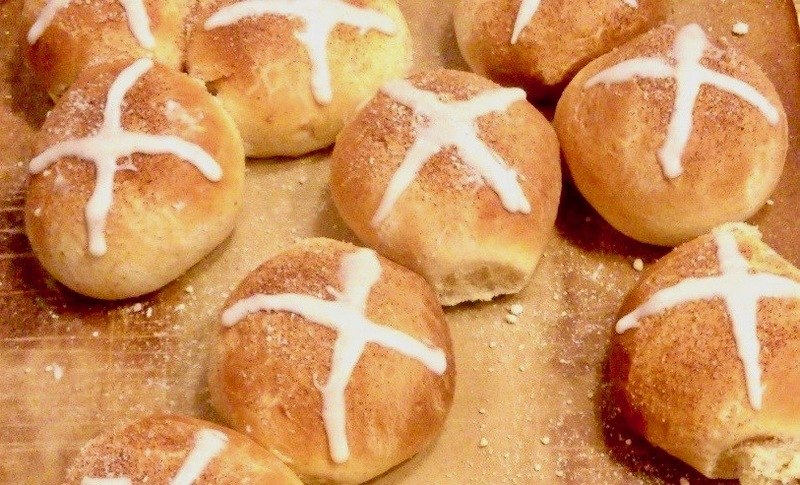 Split the dough into 12 portions and form into round rolls. Place rolls on baking sheet and let rise for another 1-2 hours. Bake rolls for 15 to 20 minutes until light golden on top. 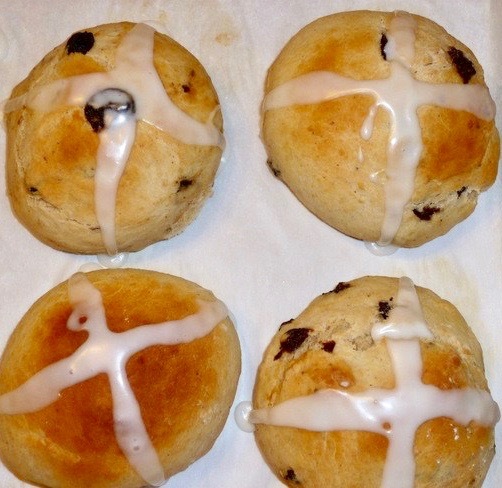 When cool, drizzle top of buns with our Vanilla Glaze to form a cross. I would love to try this recipe, I would make it for my Husband and Parents for our Christmas eve dinner. I love hot cross buns: saving this to make.